the RED HEIFER and YAHUSHUA OUR MESSIAH. WATER FROM THE ROCK and YAHUSHUA OUR MESSIAH. BRONZE SERPENT and YAHUSHUA OUR MESSIAH. 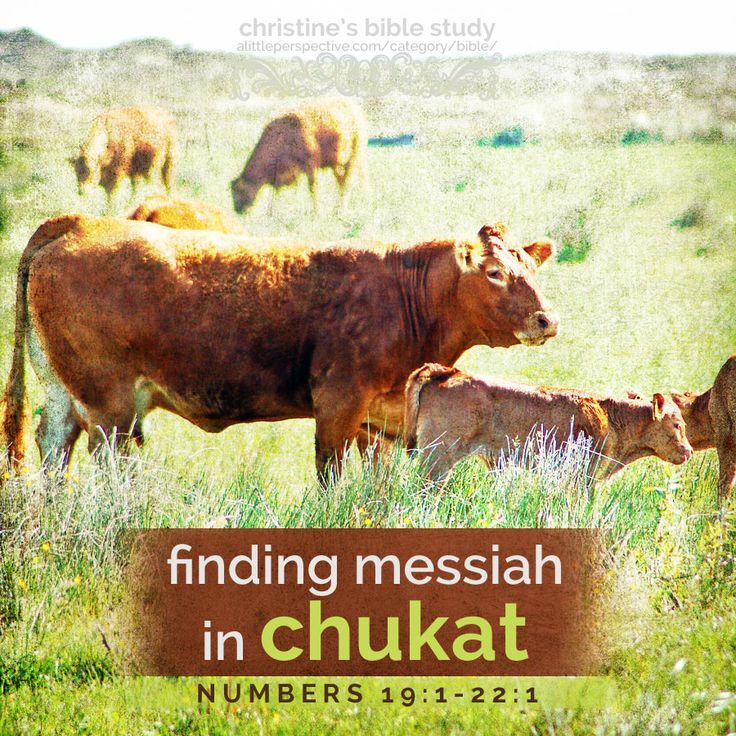 In Numbers 19, we see YAHUSHUA HA MASHIACH symbolised through/as a/the Red Heifer hence the theme of CLEANSING/PURIFICATION – CLEANLINESS! 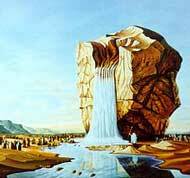 In Numbers 20, we see YAHUSHUA HA MASHIACH symbolised through/as the Rock and Living Waters hence the theme LIFE! In Numbers 21, we see YAHUSHUA HA MASHIACH symbolised through/as the Bronze Serpent wrapped around a tree, hence the theme of SALVATION and DELIVERANCE. WATER COMING OUT OF THE ROCK (Numbers 20). YAHUSHUA is the LIVING WATERS (John 4). Whoever drinks from HIM will never thirst again. YAH is our ROCK OF SALVATION (2 Samuel 22:47; Psalm 89:27; Psalm 95:1)! 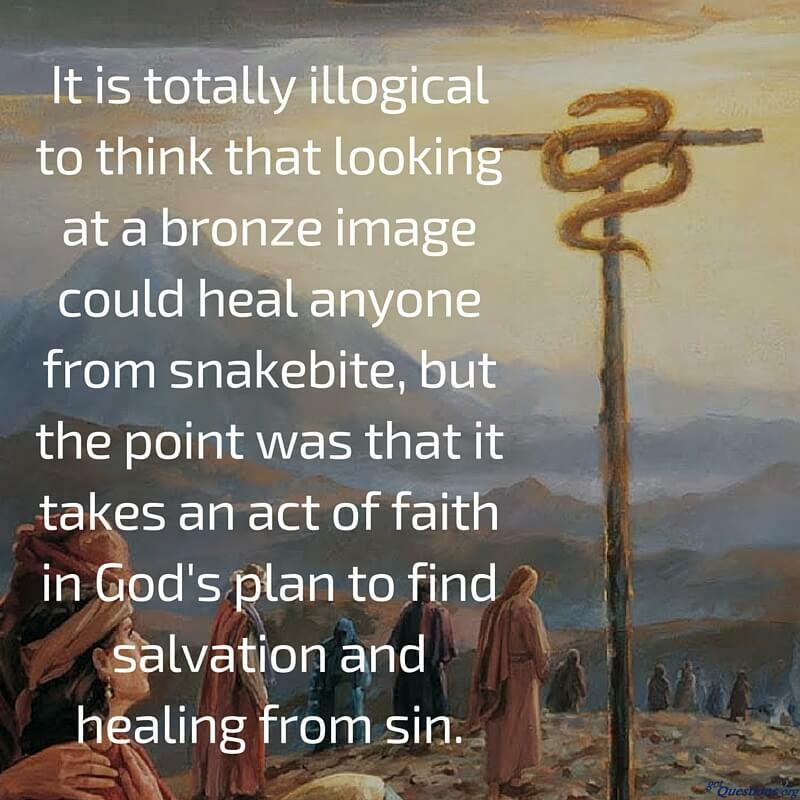 In Numbers 21, YAHUVEH / YAHWEH GOD THE FATHER instructs Moses to make BRONZE SERPENT on a POLE so that whoever looked at it would be saved from the serpent bites plague. YAHUSHUA became sin / took our sins upon HIM so that we may be delivered from sin and the power of sin. HE and HIS NAME were highly exalted so that anyone who looks upon / unto HIM for YAH’S SALVATION would be saved from their sins (Colossians 1 & 2). 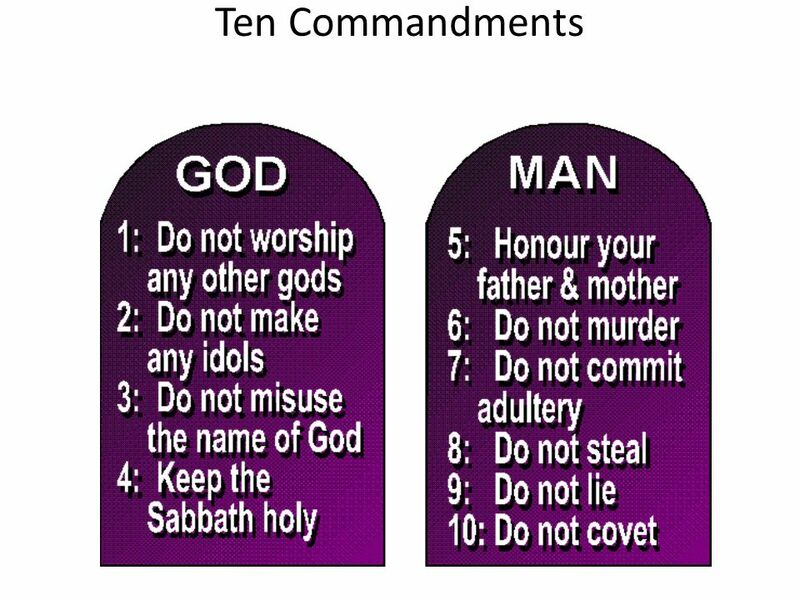 Numbers 19 can be compared with Judges 11; Ezekiel and Matthew 21; Luke 21; Hebrew 9:12-13). This is a chapter depicting YAH’S SALVATION and DELIVERANCE! The Children of Israel after receiving victory with YAHUVEH GOD’S help over the Canaanites became weary and started grumbling again. Grumbling drew YAHUVEH GOD’S judgement close to them in the form of serpents biting them. As a result of their grumbling and despising YAH’S gracious provision of manna and HIS taking care of them in the wilderness all these years, the LORD YAHUVEH sent fiery serpents among the people as judgment, so that many died. I understand the “fiery” serpents to be snakes whose bite burned like fire before you died. As soon as they realised that they had wronged YAHUVEH GOD, they approached Moses, their appointed and ordained leader to confess their sin plus ask for mercy from YAHUVEH GOD through Moses. 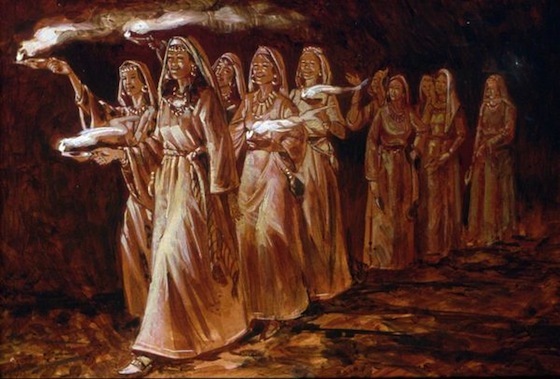 Sadly, by the time they repented, many of the Israelites had passed on. This is the first time we see Israel repent. It was a sign that they were beginning to learn that YAHUVEH GOD hated grumbling. 21 And when king Arad the Canaanite, which dwelt in the south, heard tell that Israel came by the way of the spies; then he fought against Israel, and took some of them prisoners. This time the people acknowledged their sin, came to Moses and asked him to pray for a remedy. People were dying. They needed relief. YAHUVEH GOD told Moses to make a bronze serpent and put it on a pole. Everyone in Israel that had been bitten would live if they would look to the serpent. Just as those who looked in faith to the serpent in the wilderness were healed, so those who look in faith to the lifted up “SON of YAH” will have eternal life. As we think about how YAHUSHUA HA MASHIACH was like this snake in the wilderness, we can learn five things about why we need the new birth and how YAHUSHUA HA MASHIACH provides it for us. 1. Because of sin, all people are under the curse of death. 2. God graciously provided the remedy for the curse. 3. The remedy must be lifted up. 4. The only thing that cursed people have to do to be healed is to look in faith to God’s remedy. 5. The result of looking was life. The Children of Israel had to increase their emunah/faith in YAH ALmighty for them to receive YAH’S Salvation and/or Deliverance. The Bronze Serpent was very prophetic. 14 And as Moses lifted up the serpent in the wilderness, even so must the Son of Man be lifted up, 15 that whoever believes in Him should [a]not perish but have eternal life. 16 For God so loved the world that He gave His only begotten Son, that whoever believes in Him should not perish but have everlasting life. Serpents/Snakes were sent to bite the Children of Israel as Punishment/Judgment for their sin of grumbling rather than offering praises, thanksgiving and requests unto YAHUVEH GOD for their needs. The remedy was a bronze serpent hanging upon a tree. In the beginning, sin came into the world through Adam and Eve. 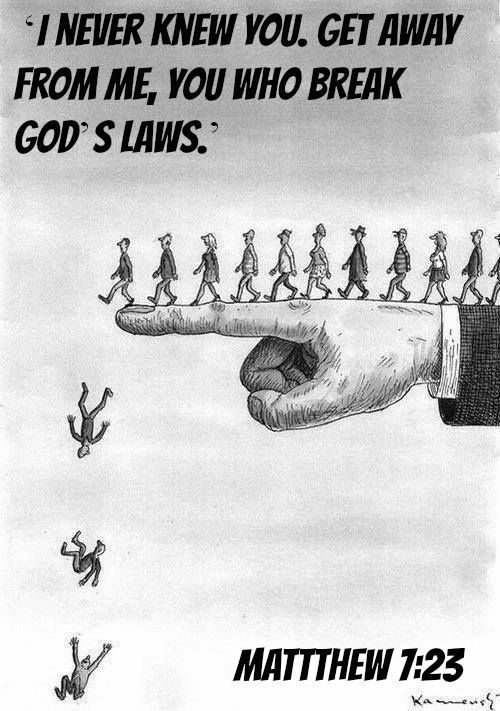 The first Adam failed the rest of mankind because he introduced the punishment/judgement of death into the world. Later in history, the remedy to (the power of) sin was sent from the Shammayim/Heavens above. It was GOD incarnate, whom all of mankind was to look up to for YAH’S SALVATION and DELIVERANCE from (the power of) sin! 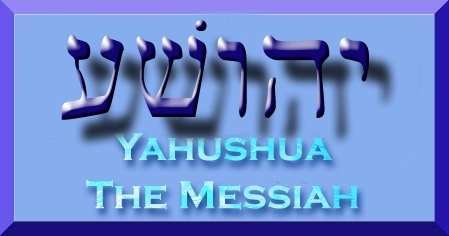 HIS Name is YAHUSHUA HA MASHIACH (also known as JESUS CHRIST)! YAHUSHUA too was hang on a tree just like the bronze serpent and the YAH’S CHildren by looking up to HIM in and with emunah/faith can receive YAH’S SALVATION and DELIVERANCE! All mankind has sinned and fallen short of YAH’S Glory! 21 But now the righteousness of God apart from the law is revealed, being witnessed by the Law and the Prophets, 22 even the righteousness of God, through faith in Jesus Christ, to all [a]and on all who believe. For there is no difference; 23 for all have sinned and fall short of the glory of God, 24 being justified [b]freely by His grace through the redemption that is in Christ Jesus, 25 whom God set forth as a [c]propitiation by His blood, through faith, to demonstrate His righteousness, because in His forbearance God had passed over the sins that were previously committed, 26 to demonstrate at the present time His righteousness, that He might be just and the justifier of the one who has faith in Jesus. There is only ONE WAY to the Shammayim/Heavens and hence YAH ALmighty and that is YAHUSHUA HA MASHIACH! YAHUSHUA HA MASHIACH is saying in Yahuchanan/John 3 that the RUACH HA KODESH cannot just brush away sin when YAHUVEH GOD grants the new birth. For sin to be dealt with, YAHUVEH GOD’S justice must be satisfied. The Son of YAH ALmighty (not “Son of Man” as incorrectly translated/written) must be lifted up to satisfy YAH’S wrath on behalf of sinners who believe in HIM. Mankind was led into sin by a serpent/snake and eventually became a lost sinner by simply looking. In the same way, every sinner can only be saved by simply looking. The Walk of Emunah/Faith in YAHUSHUA HA MASHIACH continues by constantly and faithfully looking. keep your gaze on what is in front of you. and all your paths will be secure. turn your feet away from evil. 2 Set your mind and keep focused habitually on the things above [the heavenly things], not on things that are on the earth [which have only temporal value]. 3 For you died [to this world], and your [new, real] life is hidden with Christ in God. 4 When Christ, who is our life, [a]appears, then you also will appear with Him in glory. 8 Finally, brothers and sisters, keep your thoughts on whatever is right or deserves praise: things that are true, honorable, fair, pure, acceptable, or commendable. 9 Practice what you’ve learned and received from me, what you heard and saw me do. Then the God who gives this peace will be with you. 15-16 So let’s keep focused on that goal, those of us who want everything God has for us. If any of you have something else in mind, something less than total commitment, God will clear your blurred vision—you’ll see it yet! Now that we’re on the right track, let’s stay on it. 2 We must focus on Yeshua, the source and goal of our faith. He saw the joy ahead of him, so he endured death on the cross and ignored the disgrace it brought him. Then he received the highest position in heaven, the one next to the throne of God. 20 We, however, are citizens of heaven. We look forward to the Lord Yeshua Christ coming from heaven as our Savior. 21 Through his power to bring everything under his authority, he will change our humble bodies and make them like his glorified body. And at the end of the Walk of Emunah/Faith in YAHUSHUA HA MASHIACH in this world as we know it, we are still to be looking for YAHUSHUA HA MASHIACH! 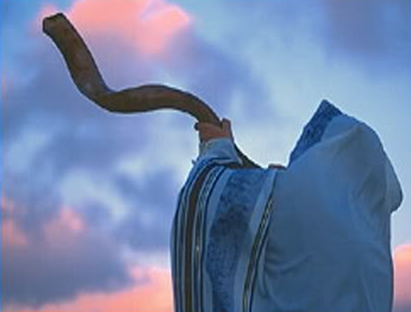 From Aleph/beginning to Tav/end, the one thing required is looking at YAHUVEH GOD’S Only Begotten SON! If the answer to the above question is “yes,” then, Are you still looking to HIM as you run your race of emunah/faith in YAHUSHUA HA MASHIACH? Can a person come to saving emunah/faith if he or she does not feel any deep conviction of sin? Can the conviction come after he or she believes? In light of Galatians (especially 1:6-9) can a person who believes that we must add our good works to faith for salvation be truly saved? Some argue that “lordship salvation” adds a requirement (submitting to YAHUSHUA HA MASHIACH as LORD) to faith, which is the only requirement for YAH’S SALVATION. Are they right? Why/why not? Someone says to you, “I forgive those who wrong me. Why can’t YAH just forgive everyone?” How would you answer? Feel free to contact us by clicking here with your comments, suggestions and enquiries. 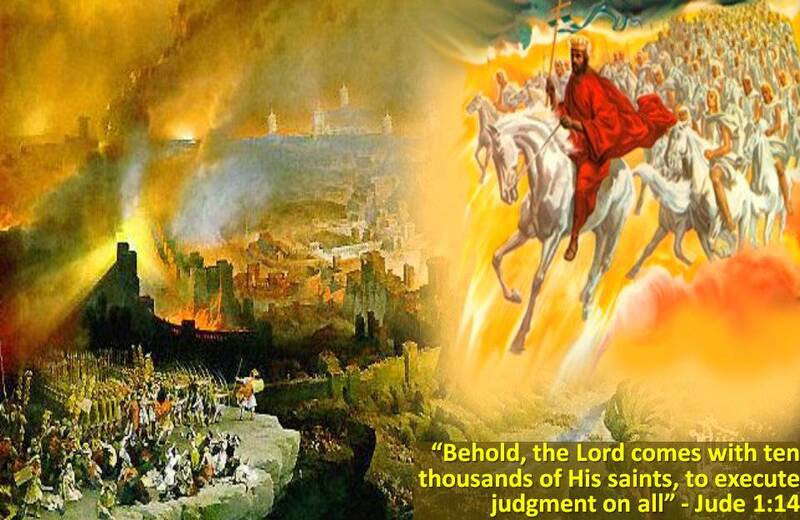 before the GREAT TRIBULATION (also known as TIME OF JACOB’S TROUBLE)! (which is where the ABOMINATION OF DESOLATION will take place in future – Daniel 9:27; Daniel 11:31 & Matthew 24:15). As per December 6th 2017 and May 14th 2018, YAHrushalayaim/Jerusalem has become the official capital of the State/Nation of Israel. This means that the earth is racing towards the end of the world as we know it. The next thing we are hearing which was even mentioned in Prime Minister Benjamin Netanyahu’s speech at the Inaguration of the U.S.A Embassy in Jerusalem was that the temple will be build again in YAHrushalayim! We are only waiting on the miracle of the sudden destruction of the Mosque that is standing in the place of YAH’S Temple! The Mosque does not belong there! That was the same spot on which Abraham sacrificed a lamb instead of Isaac, his son. 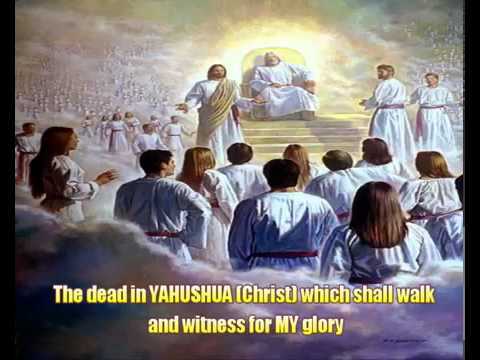 How ready are you for the Holy Rapture of the Bride of YAHUSHUA HA MASHIACH? Do you have a desire to escape the coming Great Wrath of YAHUVEH GOD poured out onto the earth (a.k.a Great Tribulation)? Are you putting this desire before YAH in prayer plus trying to live holy as YAH is holy daily? PURIFICATION in relation to DEATH. 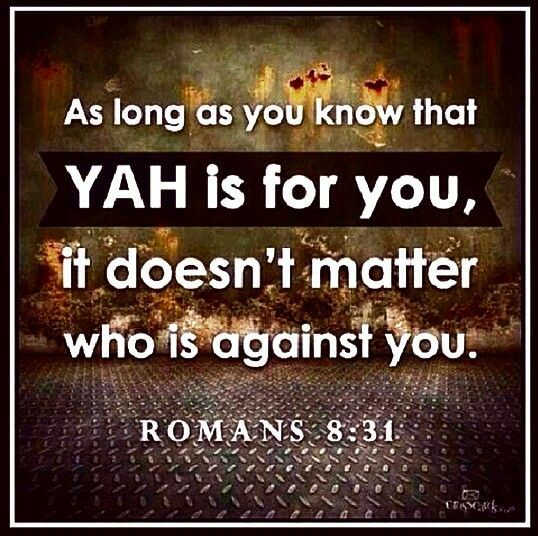 Note that: YAH constantly related CLEANLINESS with Approaching HIS SANCTUARY / TABERNACLE / TENT OF MEETING. YAH cannot stand sin and death plus there’s no such in Heaven!!! 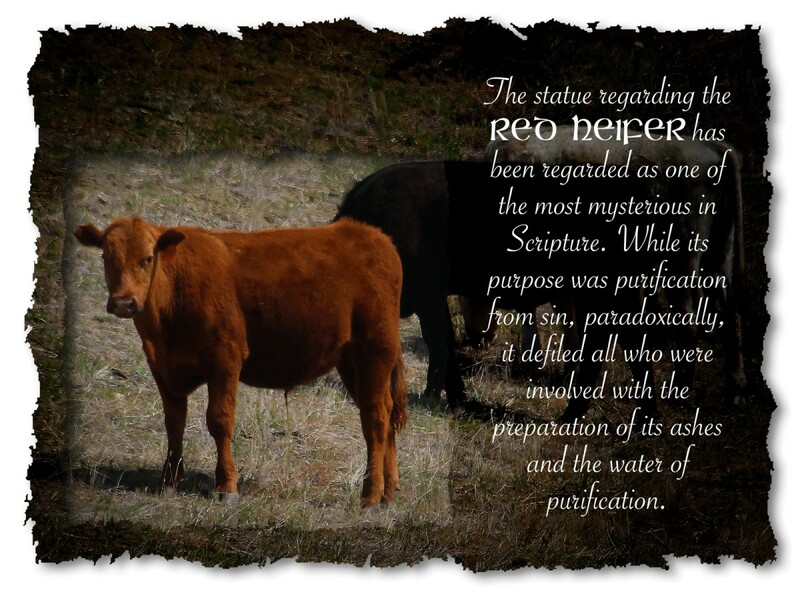 WHAT IS A RED HEIFER and WHAT IS IT ALL ABOUT? There are so many parallels between the RED HEIFER and YAHUSHUA OUR MESSIAH. The Red Cow / Heifer had to be a VIRGIN, UNYOKED (meaning no hard labour done by it at any one point in time) and UNBLEMISHED. 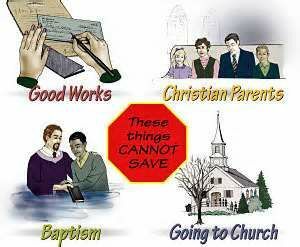 YAHUSHUA was all of these things. The Red Heifer had to be and observed for 3 years to ensure that all was well with it. YAHUSHUA was watched for and HIS Ministry lasted 3 years. The Red Heifer was always purchased from the TEMPLE TREASURY. The location of YAHUSHUA was paid for by TEMPLE TREASURY 30 pieces of silver which was given to Judas Iscariot (payment for betraying YAHUSHUA HA MASHIACH). The Red Heifer was handed over to the High Priest for examination before sacrificing it. YAHUSHUA was examined by Ciaphas, the High Priest before HE was sacrificed on the cross. The Red Heifer was sacrificed outside of the ISRAELITES’ CAMP and later in history sacrificed outside the CITY GATE ON MOUNT OLIVES. YAHUSHUA was killed outside the City Gate at the same place called GOLGOLET (a.k.a Golgotha) meaning PLACE OF THE SKULL implying the skull of the man was counted during the Census numbering at the timin history. The Census Counting was done at the City Gate. The point is the CITY OF YAH was not contaminated with thethe Death Sacrifices. The TABERNACLE / TEMPLE Curtain had to be open during the RED HEIFER SACRIFICE. The TEMPLE Curtain was torn into two when YAHUSHUA was sacrificed (nailed to the cross). The Red Heifer BLOOD and ASHES were used for PURIFICATION. 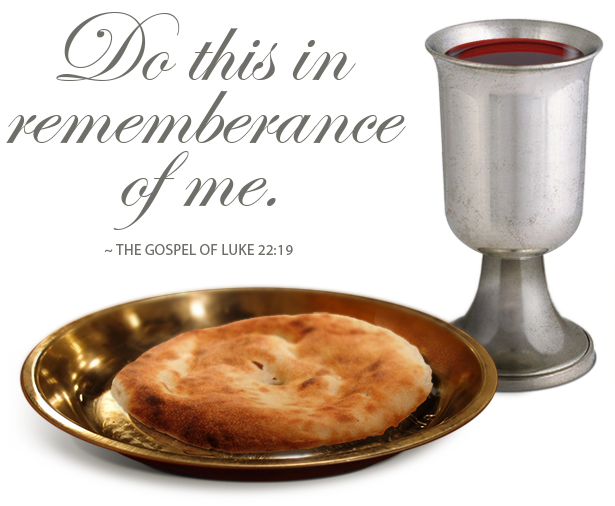 YAHUSHUA’S BLOOD is used for PURIFICATION. THE RED HEIFER PROPHECY IS LINKED TO THE RAPTURE OF THE BRIDE OF YAHUSHUA before the GREAT TRIBULATION / TIME OF JACOB’S TROUBLE! The Orthodox Jews are currently getting ready to build The THIRD TEMPLE where they hope to RE-START THE RED HEIFER SACRIFICES as ordered by YAH in the TORAH and rest of the TANAKH! This is very significant as it is a sign that we are so close to the GREAT TRIBULATION / TIME OF JACOB’S TROUBLE! They are also PREPARING THE RED HEIFER they will use to PURIFY THE PLACE WHERE THE THIRD TEMPLE will be built in future. The Orthodox Jews today are looking forward to their RED HEIFER appearing finally to RESTORE THEIR ORIGINAL PURITY (IN YAH)! This is very significant in these End Times. The Red Heifer they look forward to is very SIGNIFICANT! 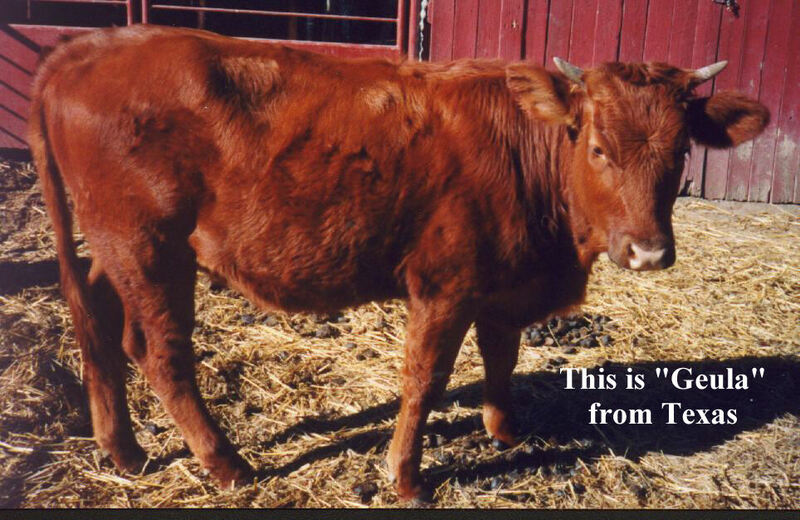 The RED HEIFER PROPHECY = THE ORTHODOX JEWISH CRY FOR THEIR MESSIAH / MESSYAH!!! “Let us draw near to YAH with a sincere heart and with the full assurance that faith brings, having our hearts sprinkled to cleanse us from a guilty conscience and having our bodies washed with pure water.” (Hebrews 10:22).